It got me thinking. How could we use a similar, intelligent (predictive, proactive and personalised) approach to improve the service that councils provide? It’s clear from speaking with councils that a massive amount of time is spent dealing with enquiries about waste management, and, in particular, missed bins. We have provided our council customers with a digital missed bin service that is fully integrated into their waste management system and in-cab lorry technologies. 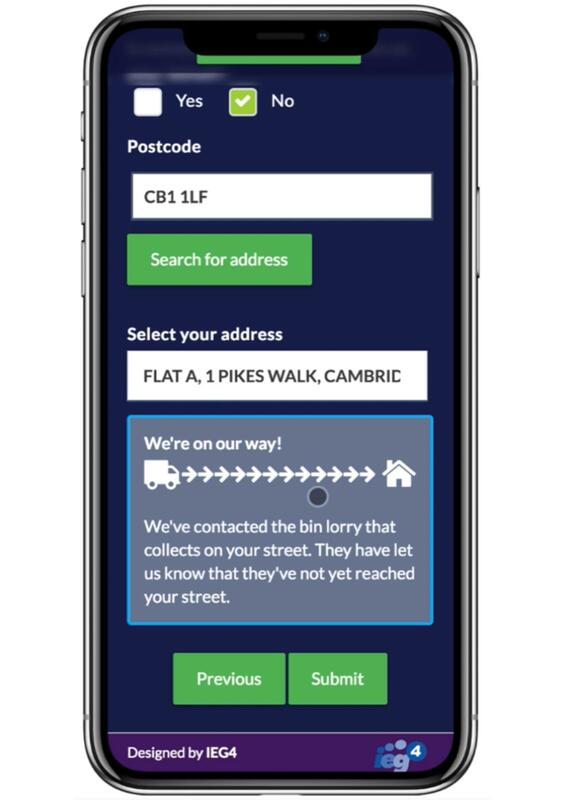 The integration is such that it’s possible now, in response to a customer enquiry chasing a collection, to automatically communicate back to them that there is no need to report anything further as the `the lorry is on the way’ or `your bins are collected on Tuesdays not Mondays’ and in doing so eliminates any further action on the part of the customer. In a similar way that a customer reports a missed bin or a non-collection, the council is able to respond that the customer is late in reporting this and would recommend a recycling centre for their waste disposal or, where relevant, notify the customer that non-collection was due to contaminated waste. These are all proactive responses designed to both prevent unnecessary jobs being created and provide the customer with personalised and informative messaging. The missing element of the three Ps, is the predictive one. To be predictive – and to accurately define what a customer might need information on before they ask - one needs to leverage data held about services/assets as well as, crucially, insights about the past activities of a citizen. We would propose that a Digital 3.0 service, in this use case, should have access to a customer’s waste reporting history, understand any messaging previously provided, understand whether the postcode has its bins collected later than usual and understand the geolocation of any bin lorry at any given time. Using this data as a whole, an enhanced service would remind customers who regularly report missed bins, or who put out their bins late, that collection is the following day, guide customers who have previously reported bins or have contaminated waste through a chatbot conversation/website to ensure re-education of the waste system and, finally, personalise the website or citizen account with specific details to that household which show their collection days, location of bin lorry in live time and location of waste recycling centres near to them. Managing missed bin reports is costly from both an administrative and operational perspective and these predictive measures ensure that, not only are effciencies generated, but the citizen is more engaged with, and, ultimately, has a better UX. John McMahon is product director at IEG4.